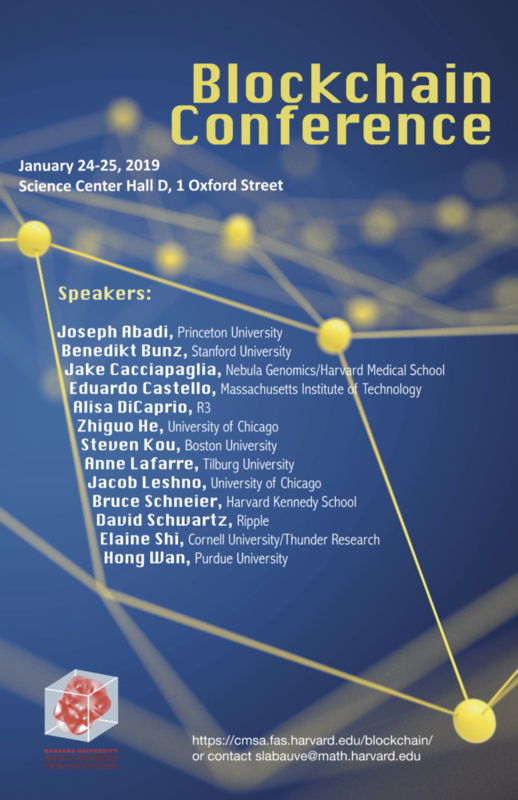 On January 24-25, 2019 the Center of Mathematical Sciences will be hosting a conference on distributed-ledger (blockchain) technology. 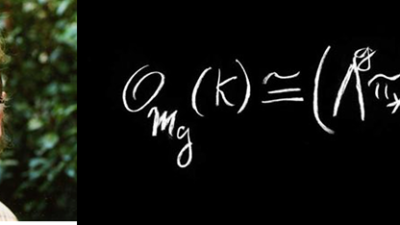 The conference is intended to cover a broad range of topics, from abstract mathematical aspects (cryptography, game theory, graph theory, theoretical computer science) to concrete applications (in accounting, government, economics, finance, management, medicine). The talks will take place in Science Center, Hall D.
Abstract: Thunder is a practical instantiation of the Thunderella paradigm, enabling high-performance consensus in a decentralized, permissionless environment, and is currently being implemented by ThunderCore. I will describe the latest improvements to the Thunder protocol. Using Thunder as an example, I will explain why classical modeling techniques adopted by 30 years of distributed consensus literature are insufficient for capturing the robustness properties we care about in practical systems. I will then describe our work in which we rethink the underlying models for studying the security of consensus protocols. Abstract: Blockchain is often marketed as a trustless system, but nothing can be further from the truth. This talk discusses how trust works, where blockchain changes the nature of trust and where it does not, and why trust is even more important in a system where algorithms determine outcomes. To the extent that blockchain is interesting and useful, it is in this area. And to the extend that blockchain is uninteresting and useless, it is also in this area. Abstract: Blockchains enable large scale distributed consensus also known as state machine replication. In these settings every node verifies that all state transitions or transactions are valid. Traditionally this requires each node to store the entire state. We show how cryptographic techniques can be used to remove this requirement and enable the separation of consensus and state. Abstract: Robotic systems are starting to revolutionize many applications, from transportation to health care, assisted by technological advancements, such as cloud computing, novel hardware design, and novel manufacturing techniques. However, several of the characteristics that make robots ideal for certain future applications such as autonomy, self-learning, knowledge sharing, can also raise concerns in the evolution of the technology from academic institutions to the public sphere. Blockchain, an emerging technology originated in the digital currency field, is starting to show great potential to make robotic operations more secure, autonomous, flexible, and even profitable. Therefore, bridging the gap between purely scientific domains and real-world applications. This talk seeks to move beyond the classical view of robotic systems to advance our understanding about the possibilities and limitations of combining state-of-the art robotic systems with blockchain technology. Title: The Modernization of Corporate Governance: Blockchain as a Solution? Abstract: Blockchain is a technology that potentially can offer solutions for classical corporate governance inefficiencies, especially in the relationship between shareholders, corporate boards and the company. For instance, Annual General Meetings (AGMs) are generally considered dull mandatory yearly rituals and their important theoretical functions (the information, forum and decision-making functions) are de facto eroded. In a key note address for the Council of Institutional Investors, vice-chancellor Laster called the Delaware system of shareholder voting and engagement “absurd” and recommended blockchain technology to solve the issues. The recent prototypes of blockchain-based AGMs including the blockchain patent obtained by Broadridge for a blockchain-based proxy voting system perhaps show that blockchain technology as tool for shareholder participation is feasible in practice. In this presentation, after a short introduction to the basics of corporate governance, the impediments to the current corporate governance system, with in particular shareholder voting and engagement systems, are addressed with a special focus on the US and Europe. Next, the application of blockchain is considered: would this technology, as vice-chancellor Laster indicates, indeed offer an important and relevant solution to current corporate governance issues? Abstract: Blockchain-based systems such as cryptocurrencies are achieving widespread usage, with a market capitalization of $150B as of September 2017. However, the most prominent platforms that account for over 70% of this market – Bitcoin & Ethereum – are exhibiting increasingly lower levels of decentralization. This poses the problem of concentrating levers of consensus to a select group of agents in the system. Essentially, centralization in a system designed to be decentralized can lead to security threats such as 51% attack. In this paper, we demonstrate the use of game theory and mechanism design to find ways of solving the problem of centralization in blockchain systems. Since decentralization vs centralization is related to non-cooperative vs. cooperative behavior, using simple models based on non-cooperative and cooperative game theory we propose a way of designing payoffs in order to disincentivize certain exhibited behaviors and incentivize desired behaviors of miners or validators in such systems. Index Terms—blockchain, decentralization, game theory, centralization, mechanism design. Joint with Abhishek Ray, Mario Ventresca, Hong Wan. Abstract: Although radically different from a traditional payment system, Bitcoin provides user with similar services and allows digital transmission of value. In contrast to traditional payment system, Bitcoin does not have an owner and its infrastructure is provided by a decentralized network of computer servers (“miners”). Thus, Bitcoin is modeled as a platform that intermediates between users and miners. Having fixed transaction processing capacity, users experiences service delays which motivate them to pay for service priority. These fees fund the miners which provide Bitcoin’s infrastructure. A closed form formulas of the fees and waiting times allows for a comparison between the economics of the Bitcoin payment system (BPS) to that of a traditional payment system operated by a profit maximizing firm. The analysis provides suggestion for protocol design modification to enhance the platform’s efficiency. Abstract: When is record-keeping better arranged through a blockchain than through a traditional centralized intermediary? The ideal qualities of any record-keeping system are (i) correctness, (ii) decentralization, and (iii) cost efficiency. We point out a blockchain trilemma: no ledger can satisfy all three properties simultaneously. A centralized recordkeeper extracts rents due to its monopoly on the ledger. Its franchise value dynamically incentivizes correct reporting. Blockchains drive down rents by allowing for free entry of record-keepers and portability of information to competing “forks.” Blockchains must therefore provide static incentives for correctness through computationally expensive proof-of-work algorithms and permit record-keepers to roll back history in order to undo fraudulent reports. While blockchains can keep track of ownership transfers, enforcement of possession rights is often better complemented by centralized record-keeping. Abstract: An open blockchain’s well-functioning relies on adequate decentralization, yet the rise of mining pools that provide risk-sharing leads to centralization, calling into question the viability of such systems. We show that mining pools as a financial innovation significantly exacerbates the arms race and thus energy consumption for proofof-work-based blockchains. Moreover, cross-pool diversification and endogenous pool fees generally sustain decentralization — dominant pools better internalize the mining externality, charge higher fees, attract disproportionately less miners, and thus grows more slowly. Consequently, aggregate growth in mining pools is not accompanied by over-concentration of pools. Empirical evidence from Bitcoin mining supports our model predictions, and the economic insight applies to other blockchain protocols and industries sharing similar characteristics. Abstract: Stable coins, which are cryptocurrencies pegged to other stable financial assets such as U.S. dollar, are desirable for payments within blockchain networks, whereby being often called the “Holy Grail of cryptocurrency.” However, existing cryptocurrencies are too volatile for these purposes. By using the option pricing theory, we design several dual-class structures that offer fixed income stable coins (class A and A’ coins) pegged to a traditional currency as well as leveraged investment instruments (class B and B’ coins). When combined with insurance from a government, the design can also serve as a basis for issuing a sovereign cryptocurrency. 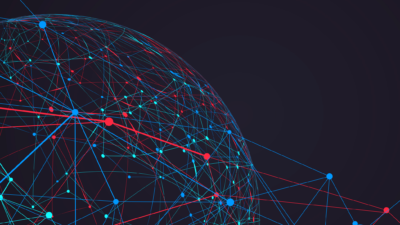 Abstract: As trade has become increasingly connected, events like Brexit show the fragility of supply chains in the face of disruption. The increase in trade volatility comes at the same time as tremendous innovation in the ways we produce and track goods. But frictions remain in exchanging data across the vast number of entities involved in a trade transaction. By decentralizing data exchange, blockchain introduces tools that can allow each entity to be more flexible in the face of short term dislocations. After a brief introduction to enterprise blockchain, this presentation will answer three questions: what blockchain applications are going live now? Will these reduce trade volatility, and what are the real world challenges to full blockchain implementation? Happy Chinese New Year from the CMSA!